In this article, you can see the list of 6 best calendar apps for iPhone and iPad. Calendar apps help you to keep your works offhandedly organized with day or date-wise. 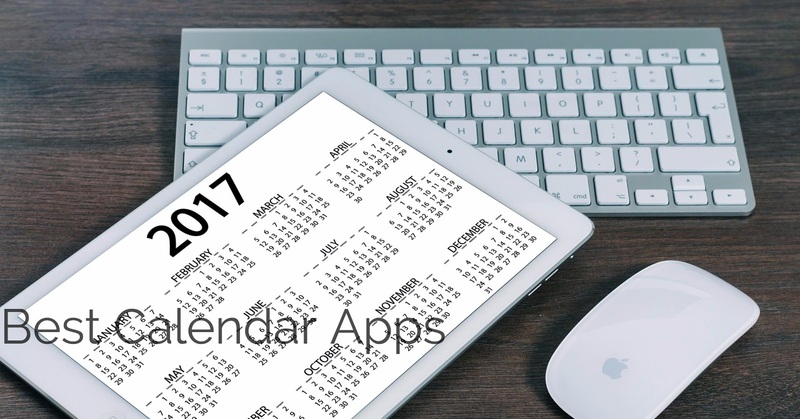 You can use any of these calendar apps according to your need and choice. There are hundreds of calendar apps on Apps Store for iPhone and iPad but here we've listed only the best calendar apps for your iOS devices. 1. 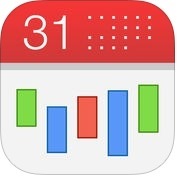 CalenGoo - for Google Calendar and iCloud ( iPhone + iPad + Apple watch ) :- With the help of this app you can access and modify your calendar easily and quickly on your iPhone, iPad and Apple watch. 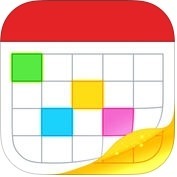 CalenGoo app is one of the best calendar apps for iPhone and iPad. This app has several amazing features such as quickly Drag & Drop and create templates, date / time can be entered using the iOS wheels, you can search fastly, you can print with PDF function by day, week, month or agenda view via AirPrint, support Google Calendar, display Birthday, anniversaries, and other important dates of your contacts, reminds you snoozed or repeated every minute, with the help of this app you can also zoom and configure to scroll horizontally (month by month) or vertically (week by week) on your iPhone and iPad. 2. 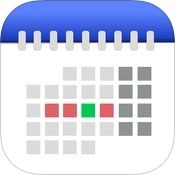 Tiny Calendar Pro - Sync with Google Calendar ( iPhone + iPad + Apple watch ) :- Tiny Calendar Pro is one of the best and powerful calendar apps for iPhone, iPad and Apple watch. With the help of this app you can access and manipulate your calendar events easily and smartly on your iPhone and iPad. Tiny Calendar Pro has several amazing features such as multiple ways to view, nature language input, drag and drop, gestures and other useful methods to predict your intention, real-time sync, you can works offline, advanced reminder system, calendar management and many more. 3. Fantastical 2 for iPhone - Calendar and Reminders ( iPhone + iMessage + Apple Watch ) :- This app is one of the best and fantastic calendar apps for iPhone, iMessage and Apple Watch. With Fantastical 2 for iPhone- Calendar and Reminders app, you can see your events and dated reminders together, you can set dates, times and geofences, you can see all new event details (including a map to show your event's locations), you can see contact information or send a quick greeting on your iPhone and Apple Watch. 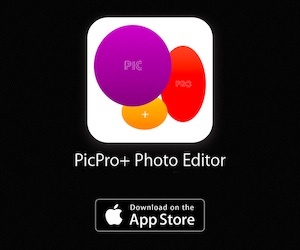 This app is also the easiest and fasted app to add new events or reminders on your iOS device. 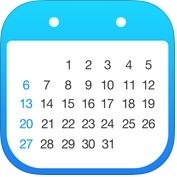 4. iCalendar ( iPhone + Apple Watch ) :- iCalendar app is one of the best and user friendly calendar apps for your iOS devices. This app has several amazing features such as easily track your schedule (you can view your daily, weekly, monthly and yearly schedule), fast and powerful search (you can search events by title, location and notes), customize your events with color-code and visible time period etc. You can also access your event details quickly by tapping on the event on your iPhone and Apple Watch. 5. 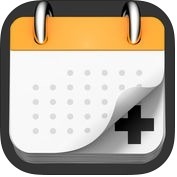 Calendar+ ( iPhone + iPad ) :- Calendar + is one the best and amazing calendar apps for iPhone and iPad. It works instantly and seamlessly. With Calendar + app, you can view events daily, weekly, monthly, you can add, change or remove events, you can jump to the date of your choice and personalize your calendars by choosing your own font to use when displaying events on your iPhone and iPad. You can also use portrait and landscape modes, and pinch & zoom to switch between month and week views on your iOS devices. 6. 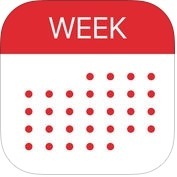 Week Calendar ( iPhone + Apple Watch ) :- With the help of this app you can view clear and detail daily, weekly, monthly or yearly and subscribe to holidays, sports and other events on your iPhone and Apple Watch. Week Calendar app has lots of useful and amazing features such as Integrated group planner, batch operations, easily relocate events using drag and drop, pinch to zoom, customizable display, navigate with Apple and Google Maps, Templates, various icons for different events and more.